In the first installment of an exclusive interview, the Star Wars Rebels executive producer discusses how the show went from concept to series. 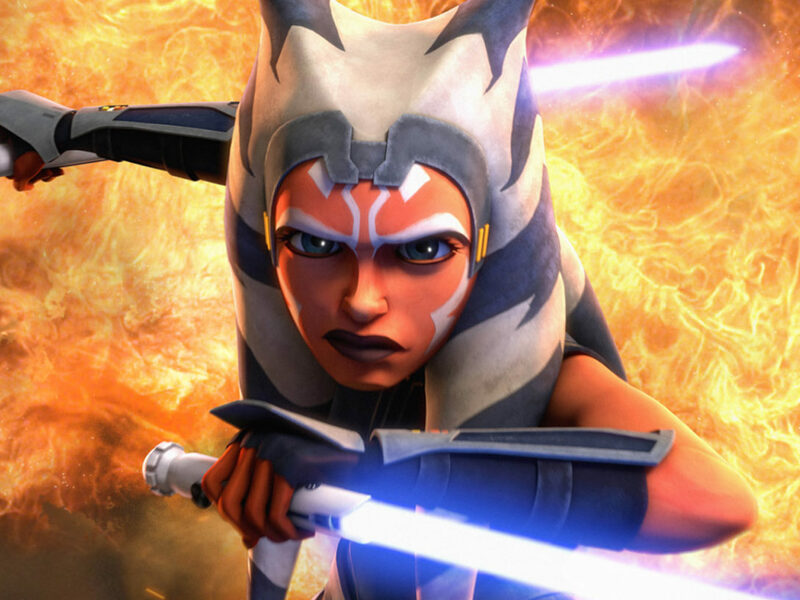 As supervising director of Star Wars: The Clone Wars, Dave Filoni worked closely with George Lucas, expanding the Star Wars mythos, deepening iconic characters, and introducing major new protagonists like Ahsoka Tano. Now, as executive producer of Star Wars Rebels, he and some key collaborators have done it again. Set during the age of the Empire, the series follows a motley crew of all-new rebels: Kanan, the flawed Jedi; Ezra, the troubled Padawan; Hera, the ace pilot and heart of the team; Zeb, the alien brute with brains; Sabine, the explosives expert and artist; and Chopper, the (very) grumpy but loveable astromech droid. 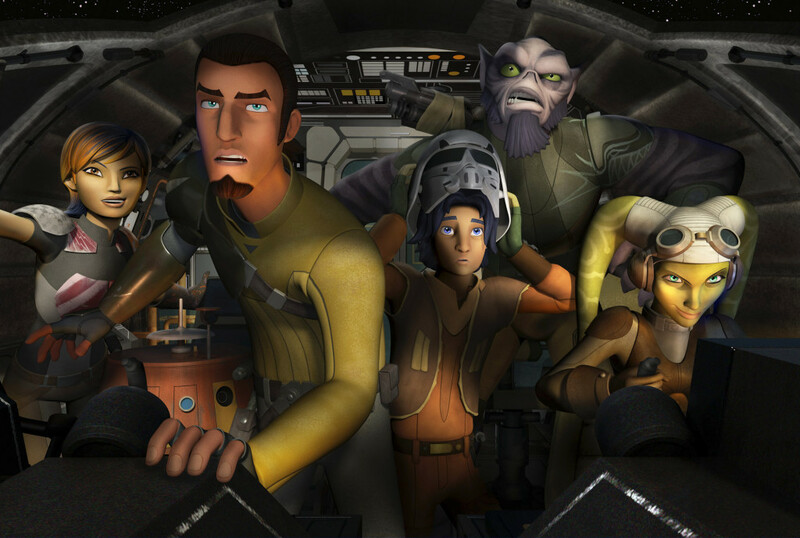 The stakes have continually risen on Star Wars Rebels, moving from simple cargo-thieving missions to Ezra’s dangerous use of the dark side to the Empire’s no-nonsense pursuit of our heroes — with death a very possible outcome for some. 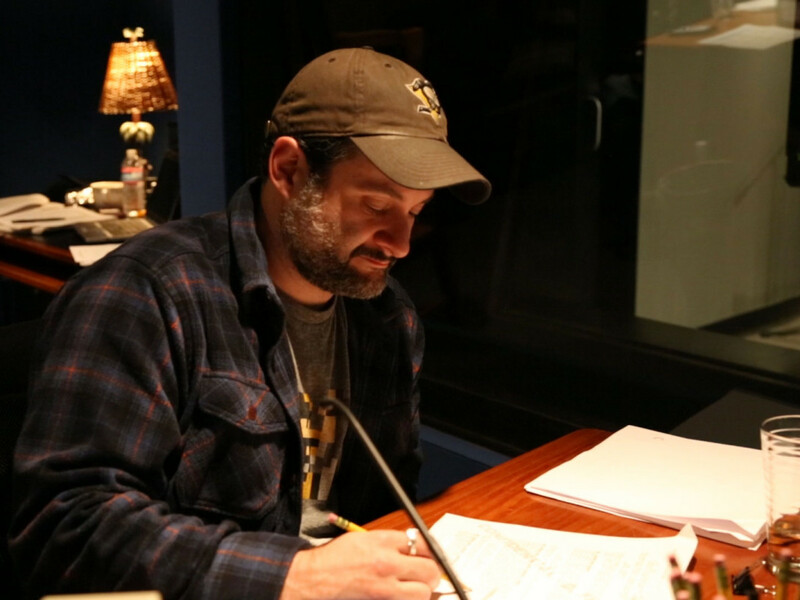 In advance of next week’s season finale, StarWars.com visited Filoni in his office for an in-depth interview about the show. 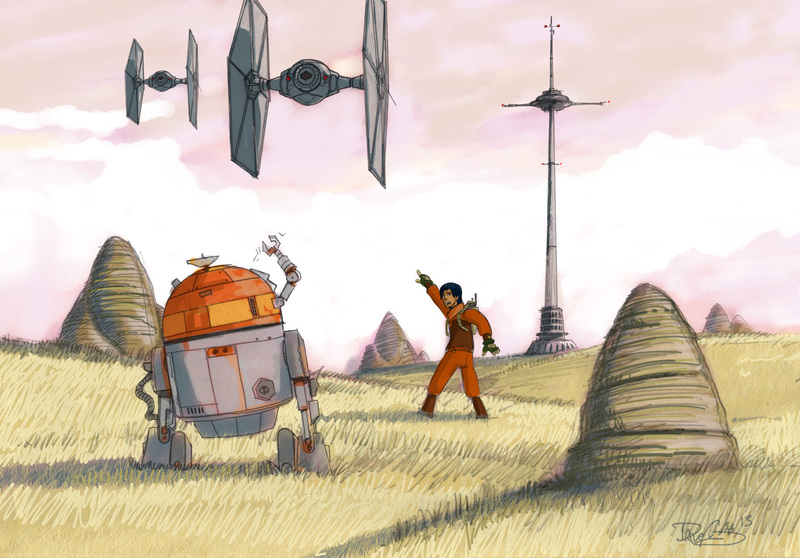 In this first installment, Filoni pulls back the curtain on how Star Wars Rebels was created. 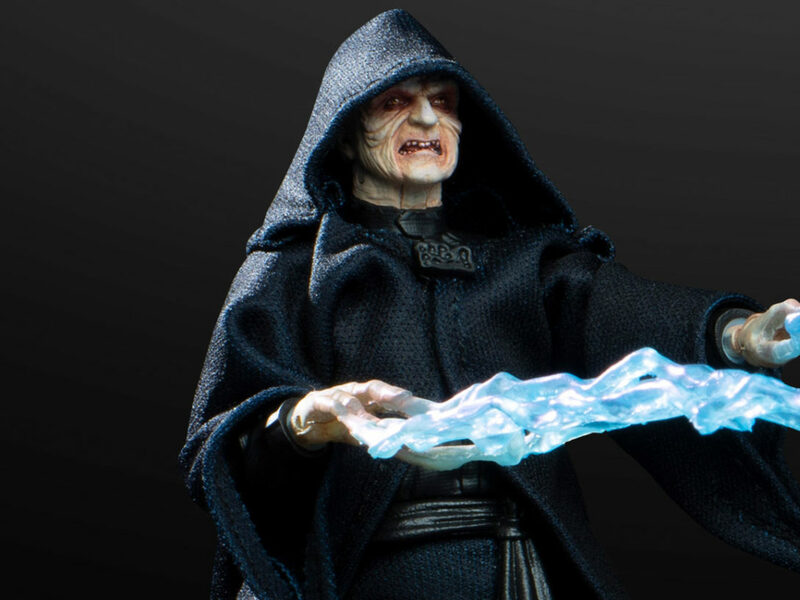 He discusses early story concepts, the continuing influence of Lucas, and, surprisingly, opens up his own personal archives. 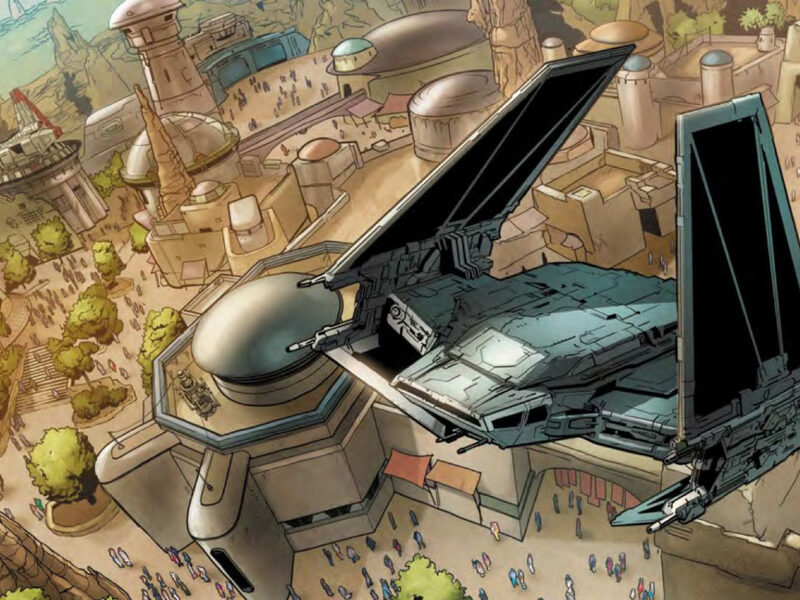 StarWars.com: I’d like to start way back, in the time when Clone Wars was ending and before you knew what was coming next. What ideas did you have for a new series and did those ideas feed into Rebels? Dave Filoni: Well, we were still finishing Clone Wars when we started developing Rebels. We had a couple ideas about doing something with rebel forces or Padawans on the run. It seemed a pretty natural progression to do a story after Clone Wars and Revenge of the Sith, but before A New Hope. I was taught to think of Star Wars as one whole piece, one whole story — so that’s the most important thing to me. StarWars.com: When you say you were taught to look at Star Wars as a whole, is that something you learned from George Lucas? Dave Filoni: Oh, yeah. Everything I’ve learned about making Star Wars comes from George. I’ve been here 10 years now, and even though George hasn’t been here these last two years, everything that I execute now is based on all our discussions, editorial sessions, and story meetings. That’s how I still try to inform what I’m doing now on Rebels — with all the building blocks of Star Wars. At the same time, I think we have to stay open-minded and have an eye on the future and the possibilities for evolving stories and types of characters. That’s why I wanted Sabine to be an artist. It was something I hadn’t really seen in Star Wars. 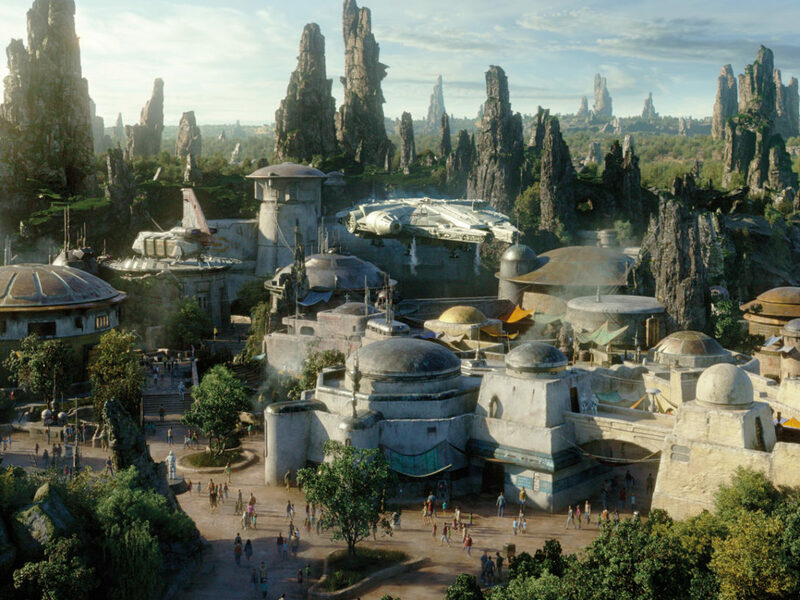 StarWars.com: I’d also imagine that, for one thing, you want to be excited, creatively. So, you don’t want to repeat yourself. And also, while fans might not realize it in the moment, if they’re watching things they’ve already seen before, it’s not going to be as rewarding. Dave Filoni: It isn’t, no. It’s amazing how often you do repeat yourself even though you tell yourself you’re not. [Laughs] I think, as a storyteller, I can’t help it sometimes. I have a certain way I do things. When I have a scene, I have a certain way I shoot. There are scenes that I shot with Anakin and Ahsoka that are very similar to scenes I shot with Kanan and Ezra. The composition of the framing and everything. You do want to repeat certain motifs that make Star Wars what it is, but it’s finding those scenarios and traps and making them original that becomes difficult. We were not so good in the beginning of Clone Wars. [Laughs] Literally, we had guys in a palace fall through the floor and into a rancor pit. Well, gee, where have I seen that before? We were much better by the end. StarWars.com: You and Simon Kinberg and Carrie Beck are credited as the co-creators of Star Wars Rebels. I talked with Simon, and it sounds like he primarily contributed the idea of a family dynamic to the Ghost crew. Can you tell us a little about how the overall concept for the show came to be? 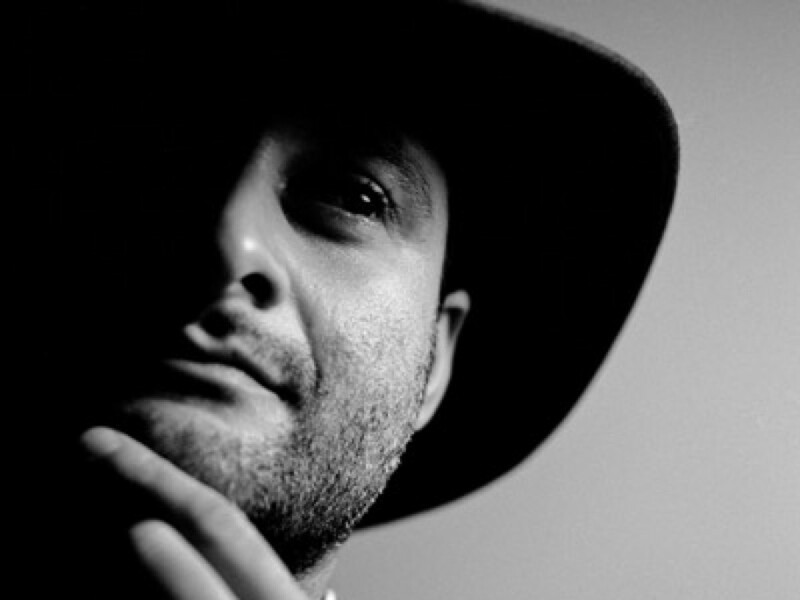 Dave Filoni: It’s hard to say. It was such a collaboration. Rebels isn’t an idea that any one of us came up with. We just wanted to make a quality show and follow The Clone Wars in a good, but different way. This was the first drawing I did where we said, “Okay, this is what we definitely want the show to look like.” I was calling it “Tower Story” because I was all about having those towers in the show. 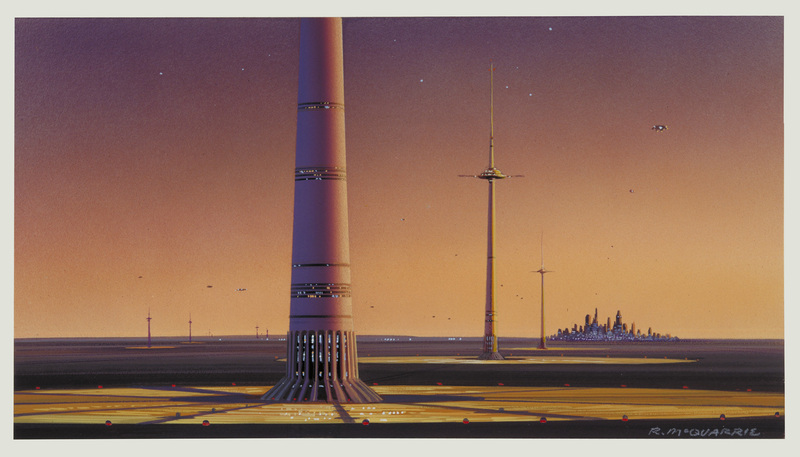 StarWars.com: The communications tower where Ezra lives? Dave Filoni: Yeah. You can see that it’s marked 2013. I did this drawing after talking with Simon and Kiri about Rebels, and I wanted to capture that feeling I had as a kid seeing TIE fighters for the first time. Chopper has a dome here. He was more like an Artoo unit, but he still had miss-matchy legs and stuff. I had [designer] Kilian [Plunkett] and the design team working on the early architecture and look of the show. This is kind of fun, because it shows you what the characters were going to look like early on. There is also an early image of the Ghost there. It was much more B-17. Zeb was an Ithorian. Kanan looked more like Roy Fokker. 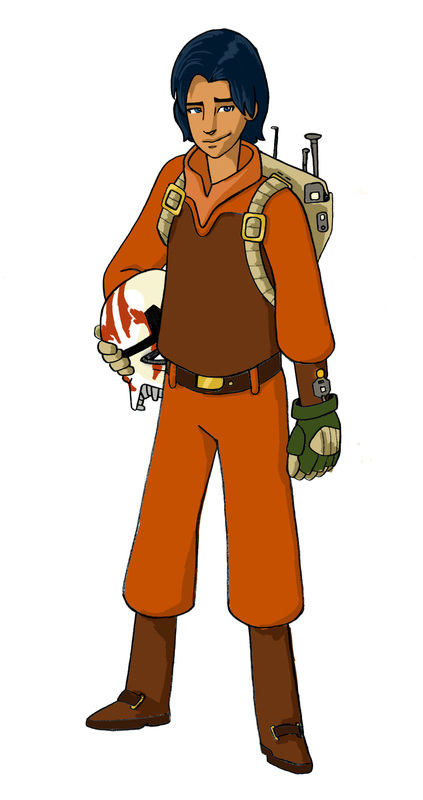 The Hera/Sabine character was combined and younger, and Ezra is in his early costume and a busted stormtrooper helmet. This was my early design for Ezra when he was just called “The Kid.” This was the sketch I used to pitch his character and the style of the show. StarWars.com: Was the use of orange always there from the beginning? It calls to mind the Rebel Alliance, obviously. 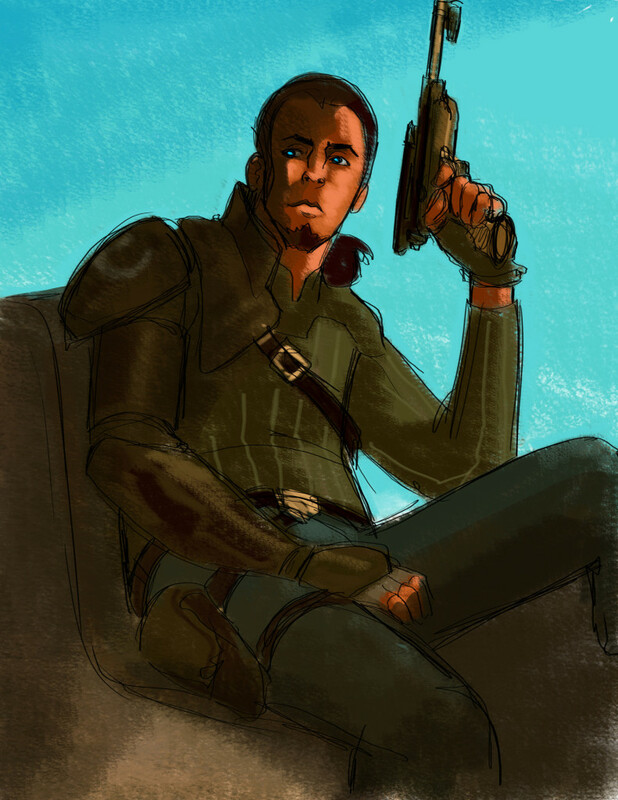 This was my first drawing of Kanan that I felt really captured the character. StarWars.com: Oh, wow. It’s pretty close to the final version! Dave Filoni: Yeah. This is the attitude. I got that from Judd Nelson in Breakfast Club. There’s a promo shot of him sitting like that. I had all of these images and I shared them with [Lucasfilm president] Kathy [Kennedy], so she could visualize the aesthetic we were going for. This is an example of the room designs I wanted for the series. 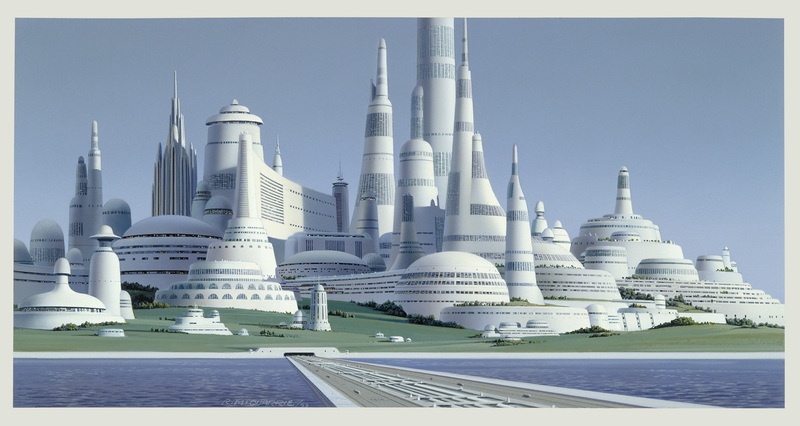 …and the streets of Lothal. 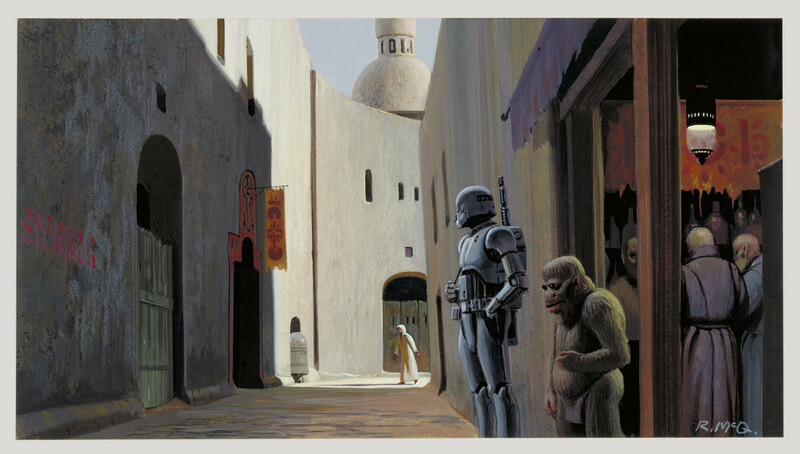 StarWars.com: Is it just because of the time period of Rebels, or is there something about the look of McQuarrie’s work that you like? Dave Filoni: We wanted something that was going to be reminiscent of the original trilogy, so I suggested we base it on Ralph’s designs. I wanted to do that on Clone Wars, but honestly, we didn’t have the know-how to accomplish it at the time. 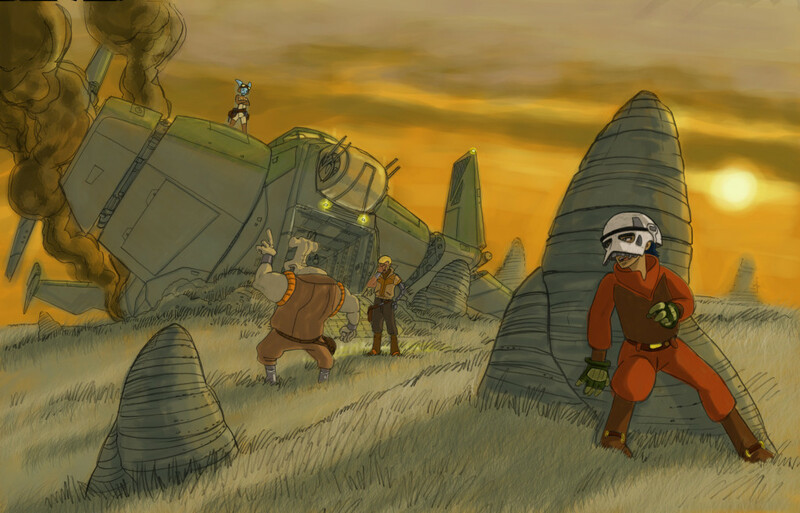 We were able to do it with Rebels though, with round-shaped characters and things that were a bit more classic animation. StarWars.com: Rebels also feels a lot more intimate than Clone Wars. Dave Filoni: Yeah, I think, in that way, it reflects the old movies, which didn’t traipse around as much as the prequels. Hopefully that’s another similarity that’s good. 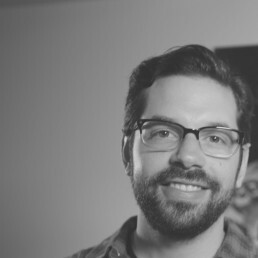 StarWars.com: Now that you’re credited as both executive producer and supervising director on Rebels, how has that changed your day-to-day responsibilities on the series, compared with The Clone Wars? 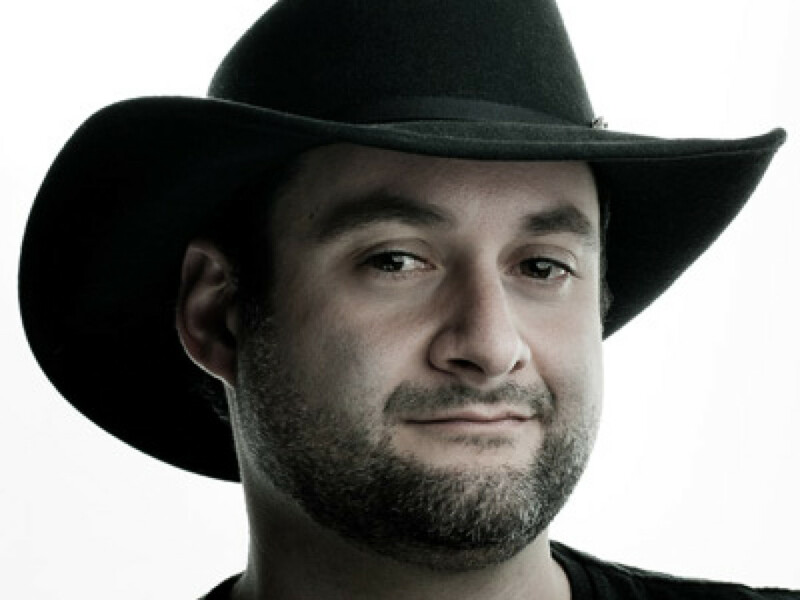 Dave Filoni: My job is actually no different than it was on Clone Wars, except on Clone Wars, it was just George and I. After the first two years, I didn’t really have to bounce as much off of him. I had my writers to bounce ideas off, but on a day-to-day basis, there was nobody there but my episodic directors and I to make the stories work, which meant I had to handle all the rewrites in editorial myself. Star Wars is different than other shows that way; we don’t just get a script and execute what’s on the page. We develop each scene through staging, cameras, dialog. Everything is challenged in an attempt to improve the story. 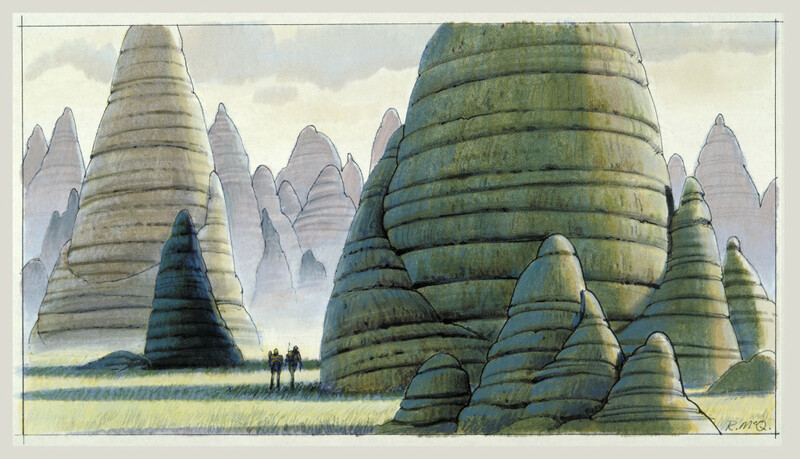 An example of this would be in the Clone Wars Yoda arc from Season Six. Originally, Yoda sees a vision of Petro laying on the ground talking to him, but I changed that from Petro to Ahsoka — someone the audience knew better and cared about. It was a simple change, but the new dialog gave the scene a deeper meaning. On Rebels, once I’ve reworked something in editorial, I have a team to help refine the dialog and check for logic issues. For the final half of Season One on Rebels, Kiri, Simon, and I were all writing and rewriting, then passing the script off to one another and tweaking things. A good example of that is the Yoda episode in Rebels, which was very different at script. Cikatro Vizago used to be in that episode, and he tried to capture Kanan and Ezra outside the Temple. Everyone works hard when we make these changes because we have very little time to do them, but in the end, it’s always worth it. We try to take an entire feature-length story process and compress it into a few short weeks. Having a group that collaborates well and rolls with the changes is essential to our success. StarWars.com: So, you’ve enjoyed the collaboration. 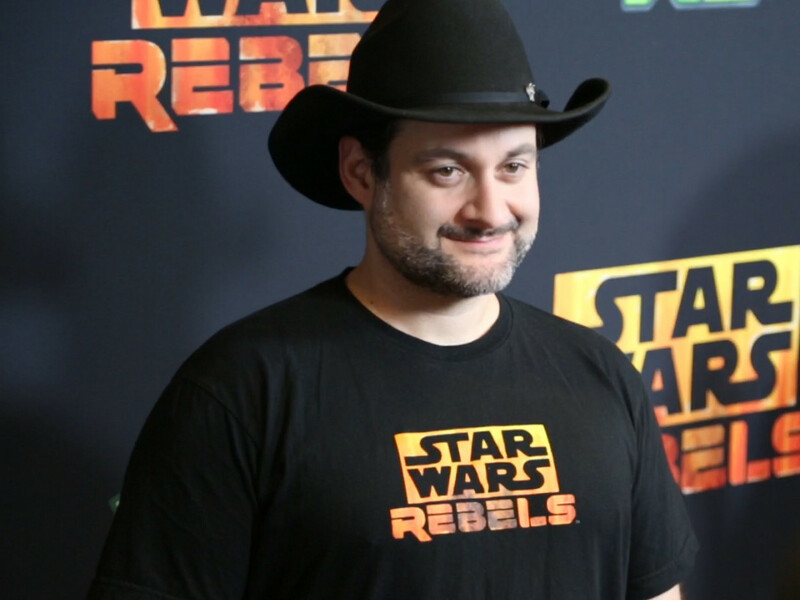 Dave Filoni: I have, yeah. It is a strength. A lot of that just has to do with the people I work with: Simon, Kiri, Carrie, and Rayne. They’re all great people. 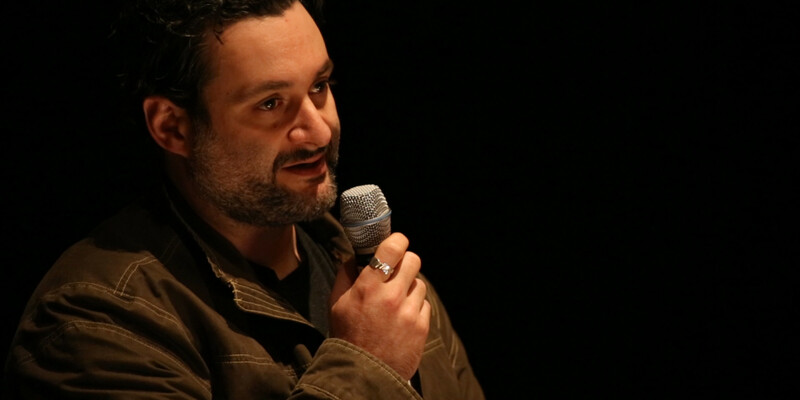 Come back later this week for part two of StarWars.com’s interview with Dave Filoni!